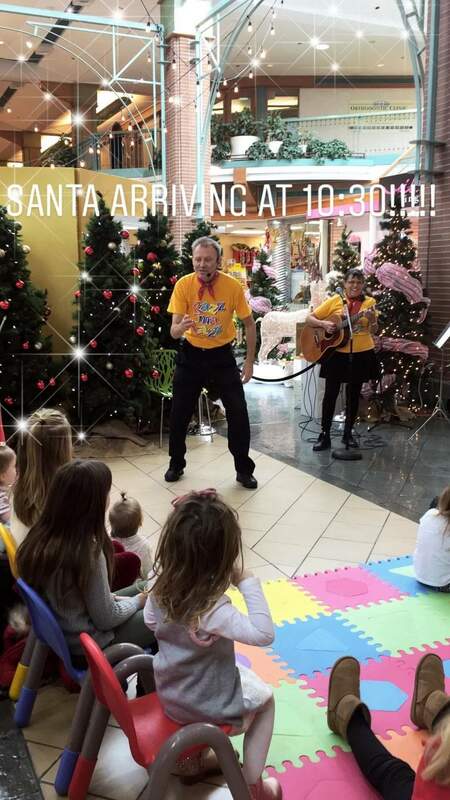 Children’s Entertainers | Based in Halifax, Nova Scotia, Canada! 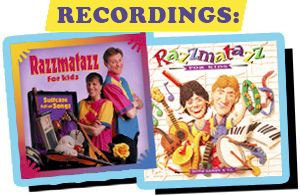 RAZZMATAZZ FOR KIDS is an award-winning musical duo that has been performing for almost 20 years. Sandy Greenberg and Thomas Cormier bring their unique and interactive concerts of children’s music to festivals, special events, schools and libraries. In their hometown of Halifax, Nova Scotia, they also perform solo, providing children’s entertainment to children’s birthday parties, daycares and preschools. 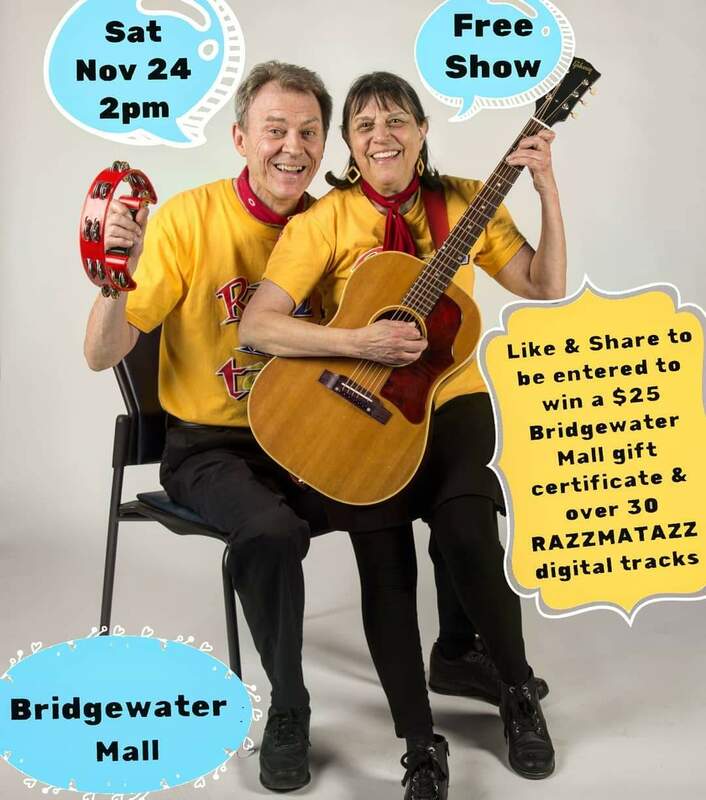 Free Show November 24th at Bridgewater Mall! 🛒 BRIDGEWATER MALL in Nova Scotia. We hope you and your family can join us for this 🎄holiday themed show! Children’s Artist of the Year! Not only did we have tons of fun with a wonderful audience of kids, parents and grandparents at our Music Nova Scotia Showcase at the Truro Library, we also WON the “Children’s Artist of the Year” Award from Music Nova Scotia! Thank you so much to everyone! We are thrilled that Razzmatazz for Kids has been nominated by Music Nova Scotia Awards in the category of Children’s Artist of the Year! Winners will be announced on November 4, 2018, at Nova Scotia Music Week. 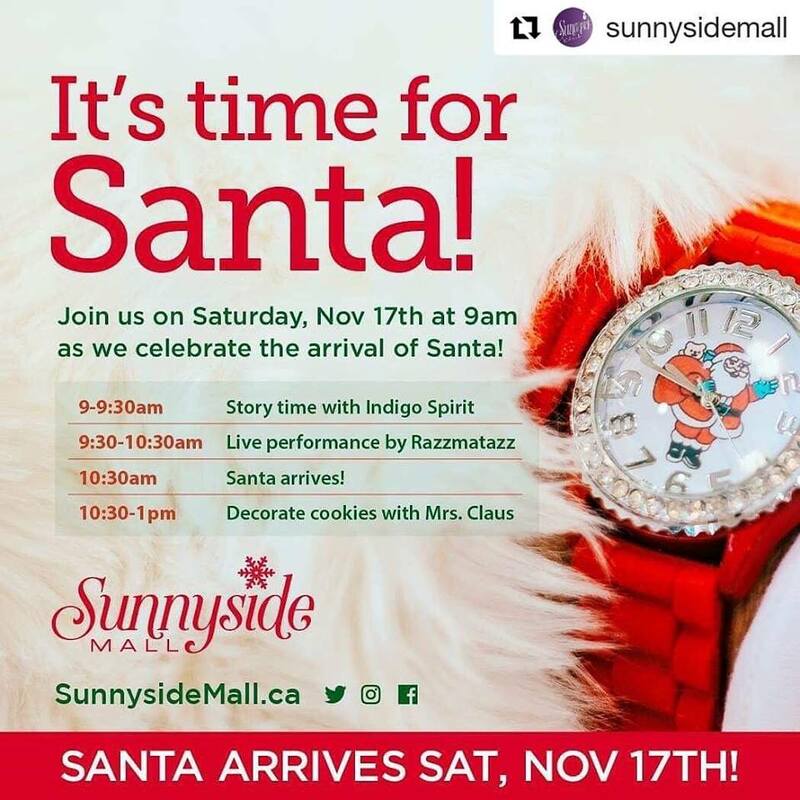 Lots of fun in store, and it’s all FREE! Razzmatazz is performing our children’s music at the Spring Garden Children’s Festival, Sunday, August 12. Our shows are at 10:00 and 11:30. Come and say hi! 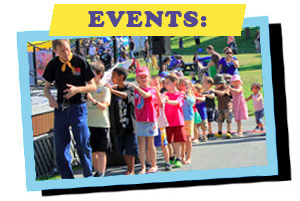 Razzmatazz’s fun, interactive children’s music is a FREE event at the IWK Auxiliary’s Kermesse Children’s Fair, 11am, Saturday, May 26. Come join us at the Gazebo in the IWK Newman Gardens, Women’s Site, University Avenue, Halifax, NS. There will also be lots of other children’s activities to raise funds for the children’s hospital. Everyone is invited to the Razzmatazz FREE all-French, interactive concert at the Launch of our new CD. Fun and lively, Sauter! Chanter! Danser! is great for both French Immersion and francophone students, and anyone who wants to have fun in French! Spring Garden Road’s Victoria Park is the place to be on Sunday, August 13. Our shows are at 10:00 and 11:30. FREE!